Westshore’s Velox Valhallians played at Macdonald Park on a sunny, dry afternoon last Saturday. It was a competitive game that went down to the wire, with the home side doing a better job of exploiting the slope and territory advantage in the second half than the VVs did in the first. Both teams made headway as well as mistakes in the first half. Westshore’s #8 Ben Brill thundered into some yawning holes, putting smiles on supporters’ faces. Fullback Jordan Tait sliced through out wide and did well to find his winger for a combined 50 metre raid. Under the pump, the Bays conceded a penalty, and from a scrum the newly arrived five-eight Spencer Jones shimmied and all of a sudden was able to feed his 12, Taylor McGuire, who waltzed in under the posts. But the Bays have been there before, and after the break they set about getting in front. Part of the effort was a bobbled ball collected off the back of the lineout and then a bullocking run to advance the cause, with a try the result. The home side had a couple more before the VVs started finding seams. McGuire was impressive again, hitting the line with precision, and his match-up with his opposite Connor Braid was intriguing. Braid had his moments too, kicking for goal well, vocal, and once notably making a tackle and in text-book fashion jumping to his feet to attempt the pilfer. Sharp work. In any event, the VVs scored another try towards the end, and had three or four minutes to chase the decisive score. They didn’t get there though, leaving the home side with the win. Earlier, the home side scored first and held the lead throughout the game. On balance they were better drilled then the VVs, and they probably exploited occasional passive defence better than the visitors did. There was a resurgence in the last 20 minutes for the VVs, leaving them with a sniff heading into the last ten minutes, but the Bays scored again to put their well-earned victory beyond any doubt. The Valkyries drove up to Comox and it sounds as though they didn’t find their legs until the second half. The pre-Christmas league is something of a development one for Westshore, so while the result wasn’t the desired, the response by a mostly young and inexperienced side to score a good number of points after half-time was a great positive. 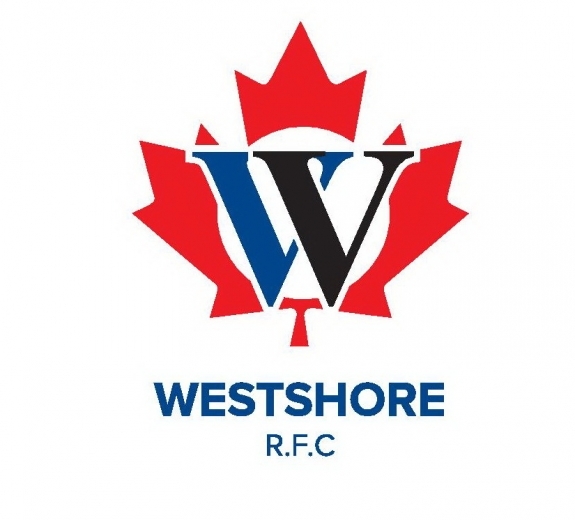 This Saturday Westshore RFC hosts 4 games as part of the official 50th Anniversary celebrations (Junior Boys – 10:30; Valkyries v. Cowichan – 11:30; Prem Reserves v. Rowing Club – 1:00; Prems v. Rowing Club – 2:45). Match ball delivery for the Premier Men is set to make for unique viewing, and John Lyall has confirmed he’ll be on the mic heckling as best he can. We have rugby, food and drinks. Come one, come all.